With Ross McMillan missing from the starting eleven Kevin McKinlay was drafted into central defence and that meant that Colin Hamilton continued in the left back role. Paul Quinn was given a start after his performance when a sub the previous week and Andy Rodgers who had been missing entirely from the squad last week through injury was on the bench. Cowdenbeath made only one change to the starting eleven with Kai Naismith replacing Marc McKenzie as the Blue Brasil attempted to maintain their 100% home record a feat that has propelled them to the top of the league five points ahead of third place Stenhousemuir. 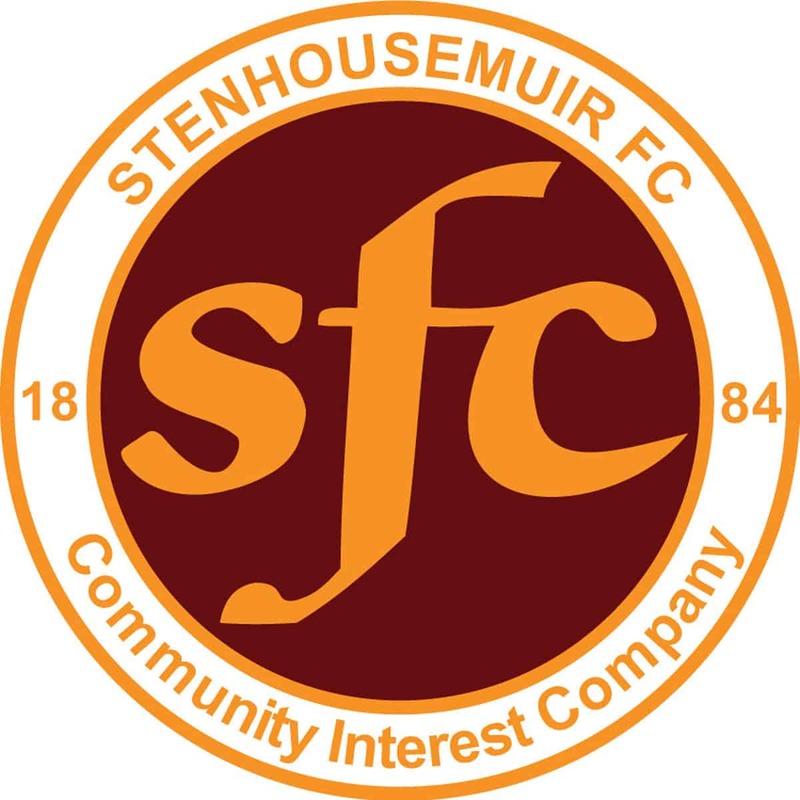 Stenhousemuir started brightly but with no cutting edge and it took until the 12th minute until either keeper was called into action when Thomas Flynn had the simpliest of saves to make to stop a Stevie Murray shot that lacked any power whatsoever. A minute later Flynn was called upon again this time showing secure hands to save a deft flick from Stewart Kean after the striker met a Paul Quinn cross at close range. The home side were rarely threatening but they did score with their first real opportunity when in the 15th minute after a David Cowan cross from the touchline was met by unmarked Greg Stewart and his header flew past Ally Brown who was slow to react. This strike gave Cowdenbeath confidence and for a while Stenhousemuir appeared to be deflated as they struggled to get going at all. A long range effort by Brown Ferguson which seemed to be hit in hope rather than expectation in the 28th minute brought about another easy save for Flynn. On the half hour Ally Brown saved from Jon Robertson as Stenhousemuir once more came close to being punished for lax marking. Towards the end of the half Cowden could have extended the lead on two occasions. The first was a powerful effort by Thomas O’Brien that Brown did well to grasp and two minutes later the keeper made a one handed save to deny Stewart his second goal. They were made to pay for this miss when the home team extended their lead in the 87th minute. With the Warrors pushing for an equaliser they were caught on by a quick counter attack instigated by Morton that ended with Jon Robertson’s cross being headed home from almost on the line by Lewis Coult. Stenhousemuir almost went up the other end and scored when a Sean Dickson effort almost beat Flynn but the keeper got just enough on the ball to push it past the post. With Stenhousemuir being stretched they almost conceded a third but Brown was able to save from Cowan before the final whistle blew with the Fifers victorious.. In the end Cowdenbeath deserved their victory as despite having plenty possession the Warriors failed to break down a resolute home defence with Joe Mbu in particular winning everything that came his way throughout the 90 minutes. Cowdenbeath didn’t create that much either to be fair but they were more clinical in their play and stretched their winning league sequence at home to six matches.